I never really gave much thought to pencil sharpeners. That is until we had a 7 year old come to live with us. At that point, #2 pencils became an essential home work imlement (oh, the joy of being able to erase! ), and quickly there after we needed a way to keep them sharp. I naively assumed that any old sharpener would do. Oh how wrong I was. The random sharpeners around, and even the one that came in the Boy's School Supply kit, were all unimpressive. I'd find myself grinding away with some random sharpener, and before I knew it, the pencil was half the size it had started, and still no closer to being usable. Shira apparently picked up on this, and unbeknownst to me, purchased a Kum Long Point pencil sharpener from Amazon. While it looks sort of new age, it didn't really perform any better than any other sharpeners we had lying around. 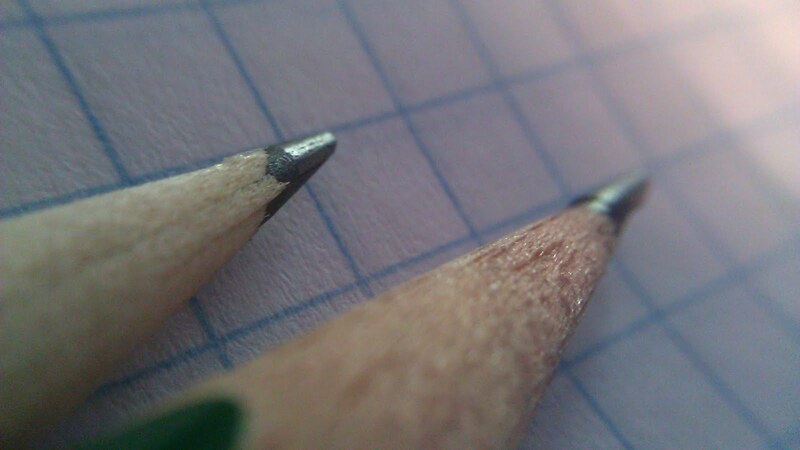 Then one day it hit me -- the "1" and "2" next to the sharpening holes weren't for two different size pencils. They were for two different stages of sharpening!. I fed a pencil into stage one, careful to stop when the lead hit the "stop" label. Then I cranked it through stage two. It didn't appear to be doing much, but I played along. To my shock, I pulled out the pencil and found a razor sharp point. And to my joy, I found that I could repeat the process with any old pencil we had lying around. And not only that, but the setup is quite efficient, requiring just a few turns in each spot to get the desired shape. So there you have it, a pencil sharpener so impressive it can prompt me to write a review and includes words like "joy" and "efficient." That means it has to be good. So if you find yourself dwelling on dull pencils, have a got a solution for you! Bonus: it's compact, non-electric and relatively inexpensive. Kum pencil sharpeners rock; it's the one brand I look for when I go in an art store.